Common Rush is a wonderful wet site plant, with deep green spaghetti-shaped leaves that stand stiffly upright. 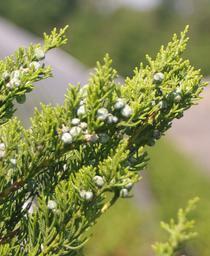 The ivory-white flowers appearing in summer are not showy, but they make an interesting contrast to the unusual foliage, and their seeds produce food for many small birds. 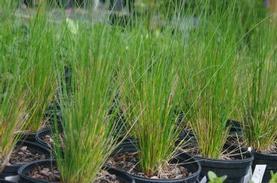 Juncus effusus is an attractive upright element for ponds, rain gardens and swampy areas, especially since it is evergreen. 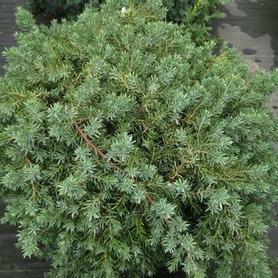 'Blue Star' Japanese Aster has pale blue Aster-like flowers held above deep green foliage, blooming from June to fall. 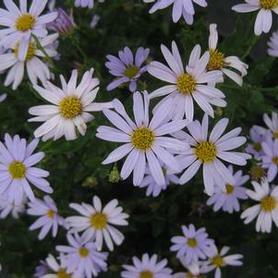 Kalimeris incisa 'Blue Star' is a deservedly popular perennial in Europe. The habit is neat and compact, and it never flags in hot weather. 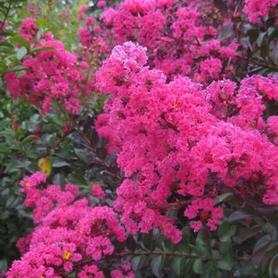 PRN Preferred: Blooms for a very long time, carefree compact plant. The interesting thick-petaled yellow bell-like flowers of Kirengeshoma palmata appear on blackish stems in August and September, followed by weird three horned seed capsules (Dr. Alan Armitage calls them "Stephen King ... Fruit"). 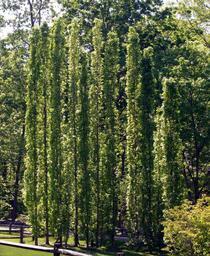 Slow to get established, Yellow Waxbells needs a moist woodland. 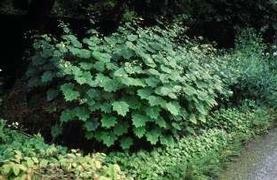 Kirengeshoma comes from Japan, where it is considered highly endangered in the wild. 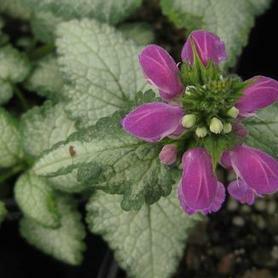 The large deep purple flowers of 'Purple Dragon' Spotted Nettle appear from April to June (reminiscent of snapdragons) above silvery foliage with green margins. Selected by Chris van Sanden of Hortech, Inc. Trim Lamium in summer for best appearance. 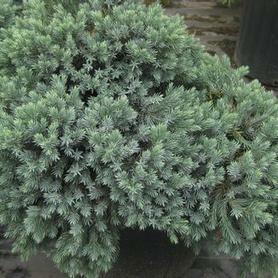 ‘Phenomenal’ Lavender ('Niko') is a sport of L. ‘Grosso’, displaying greater disease resistance, vigor and winter hardiness. 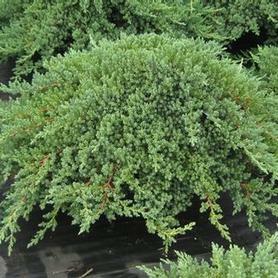 It was found and introduced by Peace Tree Farms of Pennsylvania, and has shown excellent flower production and survival in commercial Lavender farms. 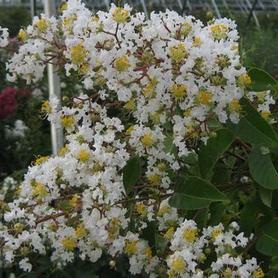 The flowers are tall and fragrant, set off by clear silver foliage. 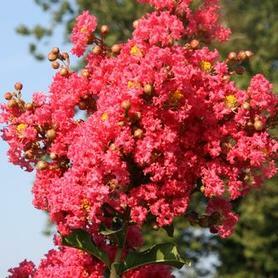 Blooms appear in mid summer and last a long time, making an excellent cut flower. Excellent drainage helps survival. Semi-evergreen. 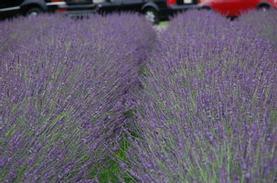 PRN Preferred: Proven to be the most hardy and reliable Lavender we have ever grown. Great success in containers and in the landscape. 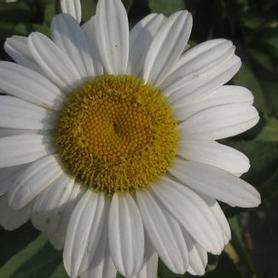 'Becky' Shasta Daisy has white flowers over glossy green leaves for an extended summer bloom period. 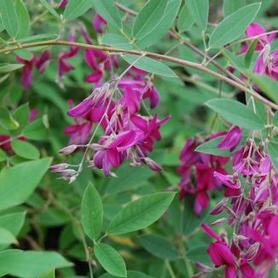 It was named for Becky Steward of Decatur, GA. 2003 Perennial Plant of the Year. Salt tolerant. 'Snowcap' Shasta Daisy is a compact Leucanthemum which is covered with large bright white daisy flowers for an extended period in June and July. The dark green foliage is attractive and disease free, making 'Snowcap' an excellent candidate for boarders or mass planting. 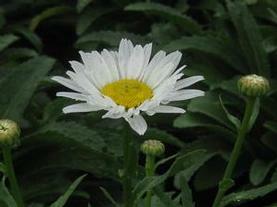 Deadheading spent flowers improves reblooming in Shasta Daisies. 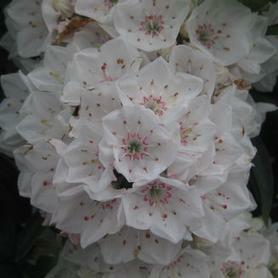 Like L. 'Becky', 'Snowcap' is salt tolerant. 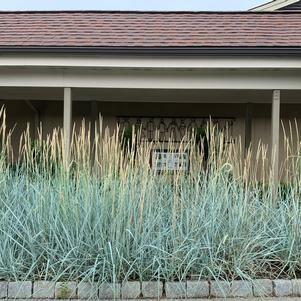 The wide powder blue leaves of 'Blue Dune' Lyme Grass combine with seedheads that look a little like barley. An aggressive spreader that likes dry sites. Salt and wind tolerant. 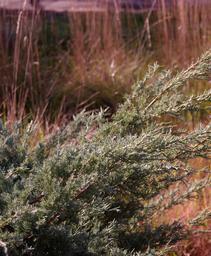 Leymus arenarius 'Blue Dune' is good for erosion control because it's so vigorous. Dwarf Blazing Star is a lovely native plant with delicate strap-like foliage topped by magenta-purple flower spikes in August and September. The shiny green leaves have an almost grass-like appearance. 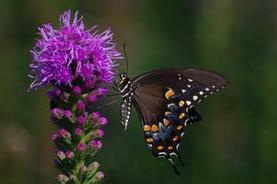 Butterflies and insects love the late season flowers, which also make good short cut flowers. 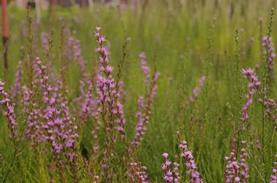 Liatris microcephala tolerates dry sites well, so it would be a good choice for green roofs. 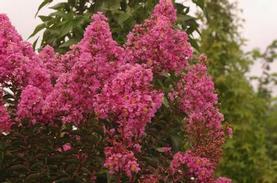 PRN Preferred: Tons of flowers on a compact plant. When blooming it is covered with pollinators. 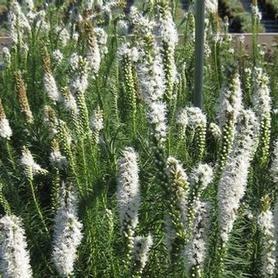 'Floristan White' Gayfeather has white flower spikes in June and July. Liatris makes a good cut flower, and adds an attractive vertical note in the garden. 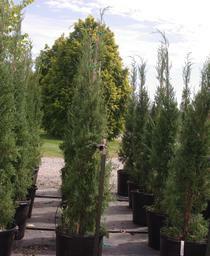 'Kobold' Gayfeather has lavender-magenta flower spikes in June and July and makes a good cut flower. If deadheaded promptly, Liatris will rebloom. The bright yellow daisy-like flowers of 'Othello' Bigleaf Goldenray are held above big bronze-green leaves with purple undersides. 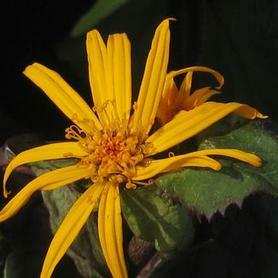 Ligularia prefers moist sites. The lavender-blue flowers of 'Big Blue' Lily-turf appear in late summer. 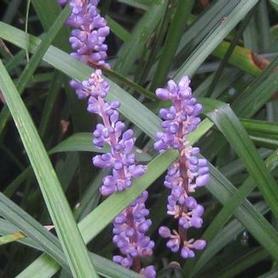 Liriope tolerates dry and difficult sites, and is an evergreen spreader. The flower spikes make good short cut flowers. 'Royal Purple' Lily-turf produces purple flower spikes in August and September, held above dark green strap-like foliage. Liriope 'Royal Purple' makes a tough, neat groundcover, slowly spreading to make wide, weed repelling patches. 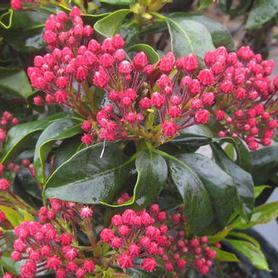 The flower spikes make attractive long lasting cut flowers, and the evergreen leaves are a consistent source of winter color. 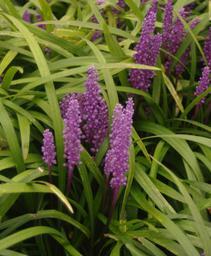 In the fall, Liriope 'Royal Purple' produces black shiny berries on the spent flower spikes. 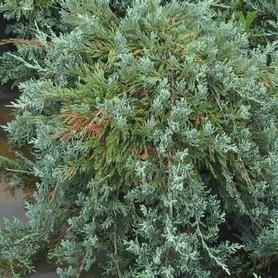 Lavender-blue flowers in late summer appear over cream and green striped foliage. 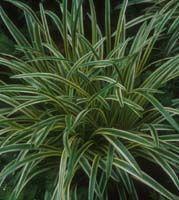 Variegated Lily-turf tolerates dry sites and is a showy evergreen clump. 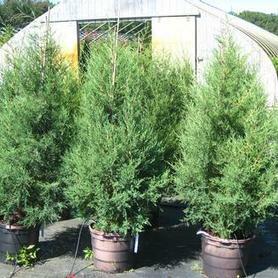 Can be used in a mass planting or as a single perennial specimen. The scarlet flowers of Cardinal flower appear in August and September. 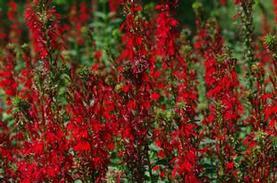 Lobelia cardinalis is wet site loving and attracts hummingbirds and butterflies. Cardinal Flower seeds itself beautifully in wetlands. 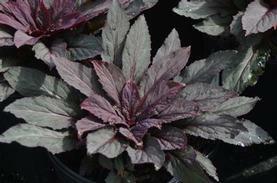 'Black Truffle' Cardinal flower has leaves which are purple to black, especially in spring and early summer. Lobelia cardinalis 'Black Truffle' produces 4' spikes of vivid red flowers from July to September, attracting hummingbirds, butterflies and other pollinators like mad. 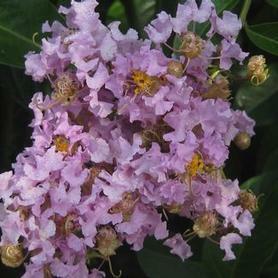 This very showy native is an introduction by Peter Heus of West Virginia, and is being marketed by Plants Nouveau and North Creek's American Beauties Program. 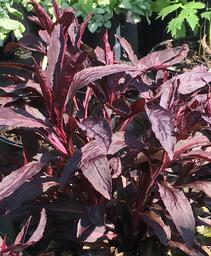 'New Moon Maroon' Cardinal flower comes from the sharp eye of James Brown, the native plant king of New Moon Nursery. 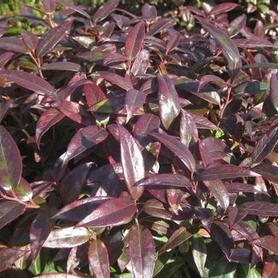 The deep maroon foliage is more consistently showy than Lobelia 'Fried Green Tomatoes'. 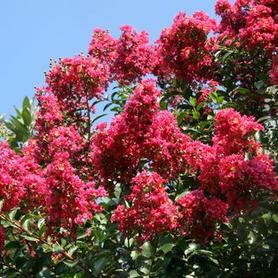 It makes a gorgeous setting for the tall scarlet spikes of flowers which appear in August and September. Lobelia cardinalis is an essential ingredient for wildlife attraction in rain gardens, bioswales and wet areas. 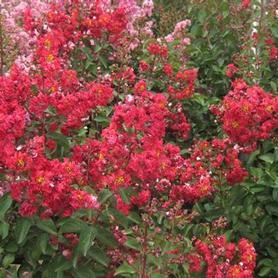 Hummingbirds and sphinx moths go crazy over their blooms. 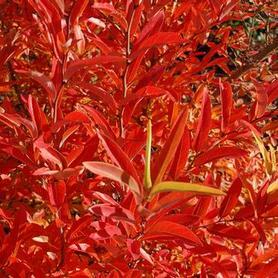 PRN Preferred: The contrast between the burgundy foliage and red flowers is amazing. 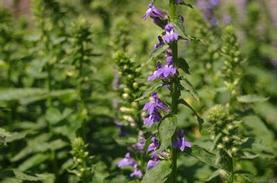 Big Blue Lobelia has clear blue flower spikes appearing in August and September, attracting hummingbirds, butterflies and insects. Does well in full sun, even more than L. cardinalis. Very wet site tolerant, and naturalizes well from seed. 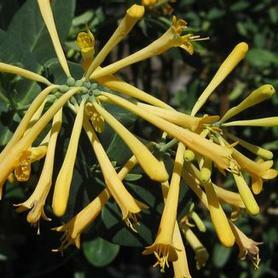 The tubular yellow flowers of 'John Clayton' Trumpet Honeysuckle appear on a compact repeat-blooming form. 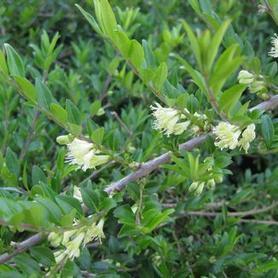 This Lonicera was found in Virginia and is loved by hummingbirds. 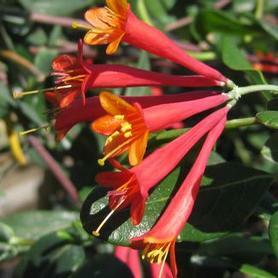 The coral-red flowers of 'Major Wheeler' Trumpet Honeysuckle bloom for a very long time from late spring through the summer when it is visited by hummingbirds. 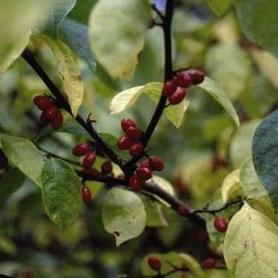 Lonicera sempervirens 'Major Wheeler' was found by Charles Wheeler of the NC Botanical Garden Foundation. 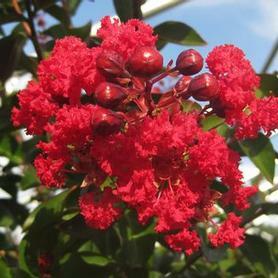 PRN Preferred: Very showy red flowers and disease free foliage, blooms for a very long time. 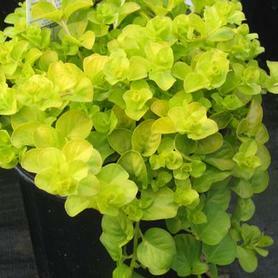 Golden Creeping Jenny has bright, golden-yellow leaves that hug the ground and form a dense, attractive mat. 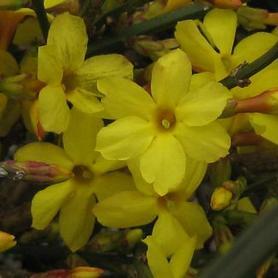 Small yellow flowers in spring are not conspicuous, but the leaves turn a bronzy-gold fall color. 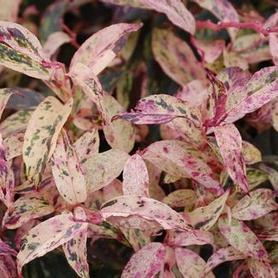 Lysimachia is great for rock gardens and walls, fast spreading.